When visitors arrive at your site, a cookie is placed on their computers identifying them as "belonging" to you (all affiliate systems use cookie-based identification). If the visitor comes to our site and registers or buys from us, that information is recorded along with your affiliate ID - thus we know when one of "your" visitors buys from us, and we can calculate your commission according to the appropriate payment program you have chosen. Once the visitor actually REGISTERS (for free) with our website, that visitor is YOURS for LIFE and that will never change. Once registered the client is locked into you forever and you have the potential to earn money from this client even years later! No other major dating affiliate program offers the LIFETIME PAYOUTS structure that A Foreign Affair has offered for 20 years! There are a lot of reasons why A Foreign Affair is the LONGEST RUNNING major dating affiliate program offered anywhere today! And you are about to become a part of that success! We now offer two additional payment options in addition to our long running "Pay Per Sale LIFETME" (PPS) option. Below we outline how each of them works. We highly recommend the PPS LIFETIME option to potential affiliates since this gives you the best affiliate potential for higher, longer term earnings. Once a client is locked into (registered) to you, you will often make commissions on a single client for years. However, for whatever reasons, we understand that some affiliates may prefer the other options that we now offer (below). Upon sign-up, you MUST choose only ONE payment option at this time. If you wish to experiment with multiple options you will need to create multiple accounts with different emails (this may change in the future). Review your options below and get started today! Be assured that you are choosing the best dating affiliate program offered anywhere in the world! Approval Needed At Sign-Up? : No. Sign up now instantly and get started in munutes! If you are an existing affiliate and are seeing these options now for the first time - this is the program that you a currently using since your account has been rolled into our new, enhance system. We highly encourage new affiliates to select this option since it clearly offers the highest overall potential and long term earnings. Every time a client spends money YOU GET PAID FOR THE LIFE OF THE CLIENT! Now we offer even HIGHER potential earnings by offering the opportunity to increase your commissions on our most popular services based up the number of new FTB's ("First Time Buyers") that you generate each month. Of course, it is important to generate new buyers each month for both you and A Foreign Affair. It is the only way to continually expand and grow your customer base. With this in mind, as you can see below, we are rewarding affiliates with higher affiliate commissions based upon the number of FTB's they generate each month. FTB's are counted every month now matter WHEN the original "click" or "registration" occurred - even if it was weeks, months or years ago. It's a great incentive to build your LIFETIME customer base and earn even higher commissions! * Feature being added. Fee charged for NON-Platinmum members only. ** We DO pay commissions on Executive clients however we urge affiliates not to count on these commissions since these type of clients are not frequent and these are specialized services. Commisions may be paid in multiple payments based upon clients payment arrangements. Approval Needed At Sign-Up? : No. Sign up now instantly and get started in munutes! However, PPL affiliates are subject to review at any time and possible suspension if their FTB ratio falls below acceptable levels (see our terms and conditions). With this affiliate earnings option you are paid for every LEAD you generate (a "Lead" is a person who simply registers for free with our website without spending any money). You will see below that your level of earnings (payout) is tied to the number of new FTB's you generate from these leads that you have been paid on (the ratio of actual FTB's each month vs. the number of leads you are being paid for). The client DOES NOT have to spend to spend any money for you to be paid however if you are not generating a reasonable percentage of FTB's from these leads that you are getting paid for you will earn a lower pay per lead payout. Of course, the higher the quality of traffic that you are sending will be reflected in your FTB ratio (although you are not paid on FTB's, only the lead/registration). This is how we reward affiliates who work hard to generate quality leads. You are paid only once up front when the lead is officially generated. However, it does not matter WHEN the ORIGINAL "click" or "lead" was generated. When the lead converts to a FTB it will be counted towards your FTB ratio for the current month. For example, you may have generated and been paid on the lead 6 months ago, however the lead converts to a FTB today. It is counted towards this months FTB ratio! You own that lead FOREVER and will get appropriate credit when/if it converts to a FTB. * Although you are paid PER LEAD up front, a percentage of those leads must ultimately turn into buyers (FTB's - "First Time Buyers"). The percentage of your leads that ultimately turn into FTB's is a direct reflection on the quality of traffic any given affiliate is delivering. Considering this, we are rewarding affiliates with higher FTB ratios with higher payouts. It is important to note that it does not matter WHEN a lead that turns into a FTB was originally generated - it will count towards the CURRENT months FTB ratio. For example, this month a lead you generated six months ago (or even SIX YEARS AGO) makes a first time buy today - you will get that FTB credit towards this months ratio. Once the client is registered that client is ALWAYS your client and you will get credit no matter when they actually purchase. Even though you have already been paid your up front commision you still want (need) that client to convert to a buyer to raise your FTB ratio and receive higher payouts. ** This is the starting default level for all new affiliates at first sign-up. You may only cash out ONCE per calendar month. Each calendar month your FTB ratio is recalculated and you are paid at the level of the previous calendar month. NEW affililiates will show $1.00 per lead until their first calendar month FTB ratio is calculated. The payout will then be adjusted as appropriate. Approval Needed At Sign-Up? : Yes. You may sign up now instantly and get started sending traffic! However, once signed up, you should use our affiliate contact form to contact us and review your sources of traffic, etc. Your account should be approved within 2 to 3 business days. No payouts can be made until the account is officially approved by our staff. All FTB affiliate accounts are subject to review at any time and/or suspension if fraud is suspected or evident (see our terms and conditions). 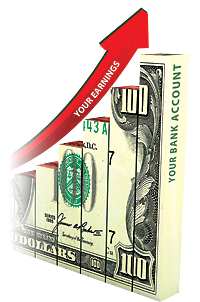 This affiliate earnings option is simple. You get paid a one time flat fee up front when one of your "clicks" or "leads" converts into a First Time Buyer no matter how much money they spend. As you can see below, the higher the number of FTB's you generate in any given month, the higher payout you earn for each one. Remember, as with all of our options, our tracking cookies NEVER EXPRIRE (like most affiliate programs will do) and once the client registers for free with our website they are owned by you FOREVER, no matter when they may convert to a FTB (again, most affiliate programs will put a time limitation on their tracking AND registered leads - A Foreign Affair incorporates no such time limitations!). * This is the starting default level for all new affiliates at first sign-up. You may only cash out ONCE per calendar month. Each calendar month your FTB total is recalculated and you are paid at the level of the previous calendar month. NEW affililiates will show $50.00 per lead until their first calendar month FTB total is calculated. The payout will then be adjusted as appropriate. Simply click on any of the "Sign Up Now" busttons on every page. You will be signed up in a matter of minutes. Then a few more minutes to explore our marketing tools and just a few more minutes to deploy them and you are on your way to a long and profitable relationship with the top dating affiliate company in thw world! You can cash out your account at any time (minimum $50 due). Simply login to your affiliate interface and click on the cash out option and we will mail you a check normally within 3 business days. We can also pay by wire transfer and very soon will offer a PayPal payment option. It's a simple process, and pays a generous commissions - with LIFETIME PAYOUTS AND TRACKING!